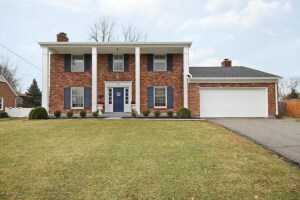 1710 Applewood Ln, Louisville, KY 40222 is a wonderful four bedroom two and a half bath home in desirable Graymoor Devondale. The brick exterior and columned front porch welcome guests. The tiled entry Foyer leads to the Living Room with inviting fireplace. 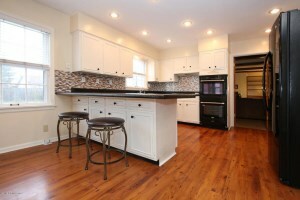 The lovely formal dining room connects to the Eat in Kitchen with breakfast bar, dining area, and tile back splash. There is also a Den on the first level with a second fireplace, built in bookshelves, and access to the Florida Room.A Half Bath & Laundry Room round out the first level. Upstairs you'll find a spacious Master Bedroom with attached Master Bath. There are also three more Bedrooms and another Full Bath. 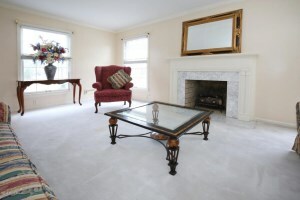 The Basement opens to a large Family Room with another fireplace and recessed lighting. New owners will appreciate the relaxing back patio, large back yard, privacy fence, and two car garage. Upgrades at 1710 Applewood Ln, Louisville, KY 40222 include newer AC, attic insulation, landscaping, newer upstairs carpeting, and new roof. Fantastic location near Westport Village!